Accelerate Learning has had an interesting past with hopes for an even more influential future in STEM education. Inside the walls of the corporate office you will find staff working on many different projects at any given time. 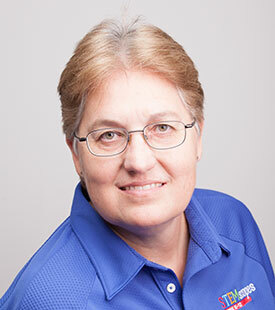 One of those staff members is the Vice President of Professional Services, Lisa Webber. Lisa joined the staff in 2012, but she had been active in the inception and development of the curriculum well before that time. From 2007 to 2012 she worked at the Rice University Elementary Models Science Lab, where she worked closely with Reid Whitaker, the Founder and Chief Academic Officer of STEMscopes. As Reid began to write TAKSscopes (in response to a need for curriculum in the classroom), she became a leader of the lab and was eventually invited to move on with Reid as the overseer of District Relations for STEMscopes. Back on November 1 of last year, Accelerate Learning - STEMscopes' new corporate identity created by Rice University - stepped onto the playing field. Accelerate Learning represents a new opportunity for STEMscopes to grow, evolve, and better serve our students, teachers, and parents. Our identity, mission, vision, and, yes, even team, are as unchanged in Accelerate Learning as they were in STEMscopes. In fact, our growth has enabled us to prepare to launch our new, embedded professional development program for STEMscopes 2.0 called STEMcoach, as well as a pre-K program, STEMscopes Early Explorer, to help our youngest learners start STEM when it counts the most.